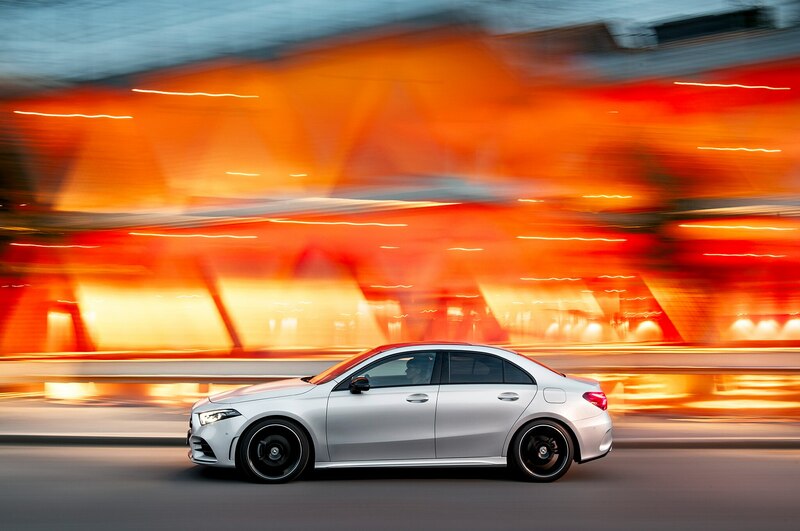 BROOKLYN, New York — It’s usually the other way around. 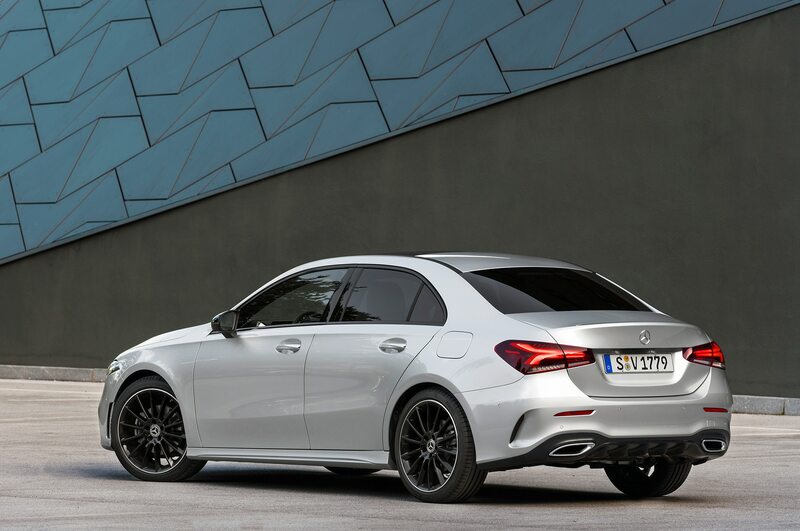 In the U.S. we normally get a sedan version of compact cars from Europe, while the Europeans get the hatchbacks. But something interesting happened this time. 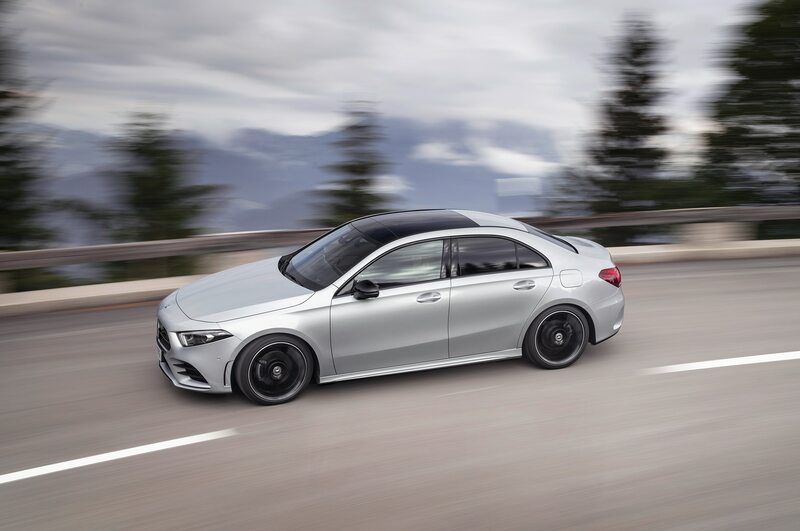 The CLA-Class—Benz’s swoopy, entry level sedan (or four-door coupe, if you’re in Benz marketing) based on but not named A-Class—has been a hit in the U.S. 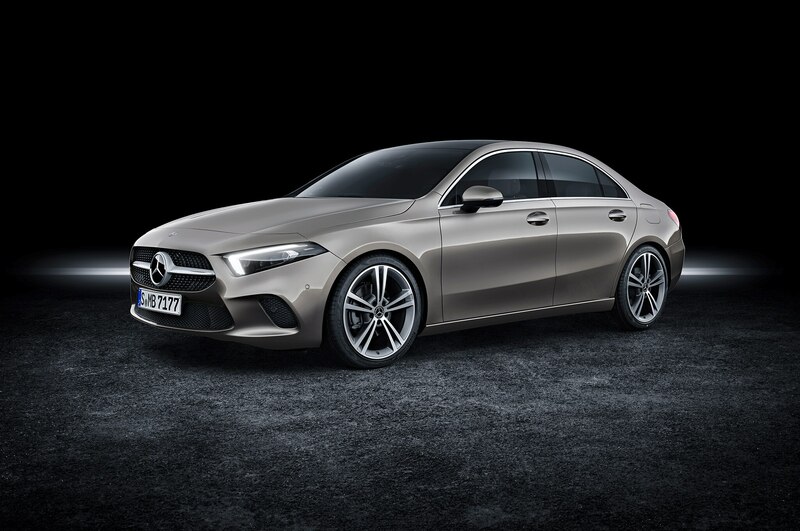 So the brain trust in Stuttgart has decided to make a big deal of launching its new 2019 Mercedes-Benz A-Class Sedan—the first ever sedan version of the model since its launch in 1997. 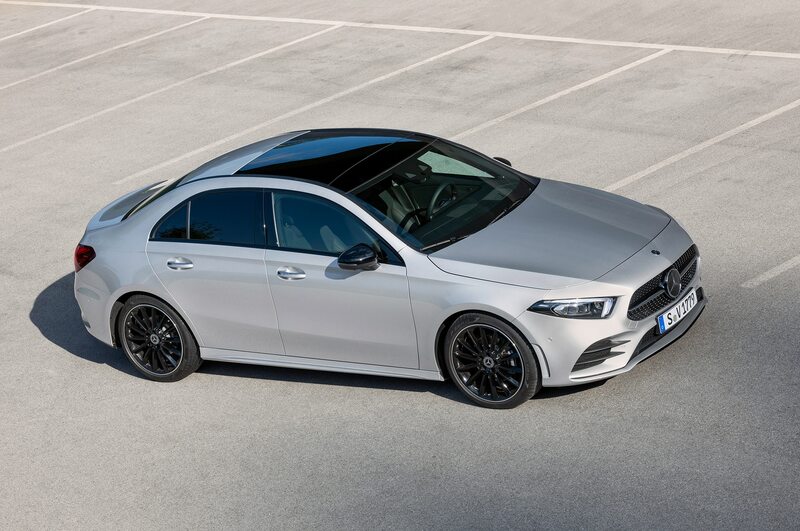 And now we get an A-Class sedan that’s not a CLA-Class but is basically an updated CLA (oh, and the CLA is sticking around). 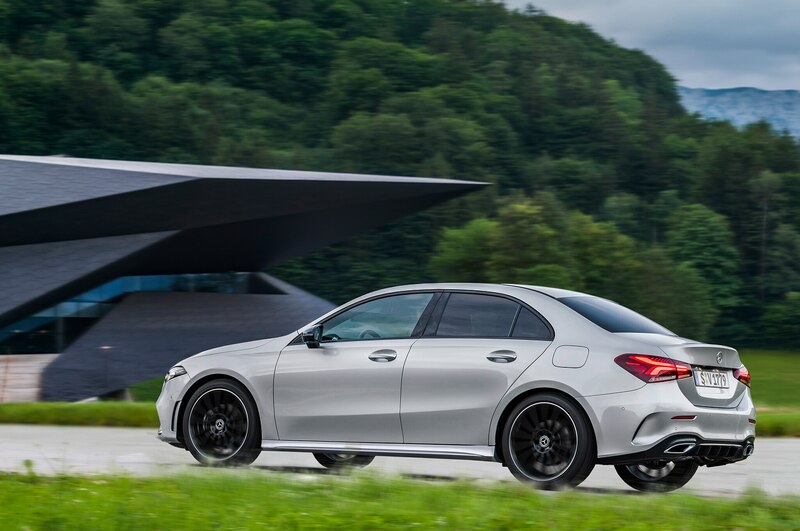 Get all that? 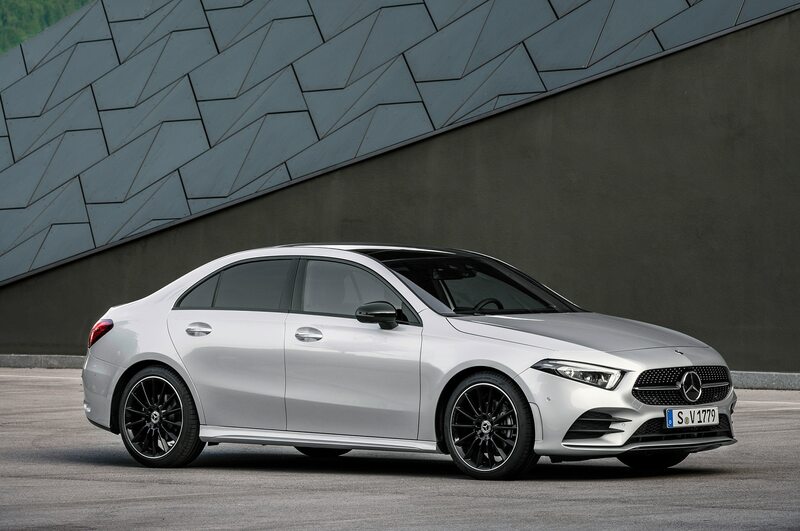 You can get it at the end of the year. 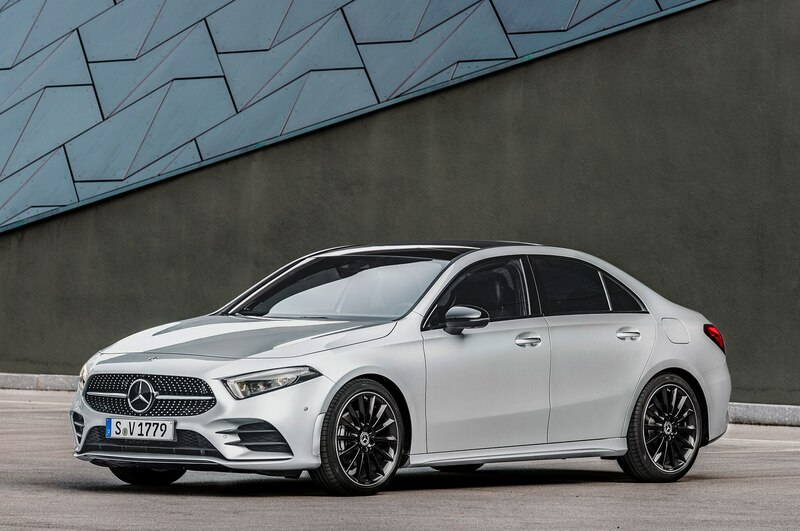 Call it what you will, one thing you cannot call the 2019 A-Class Sedan is devoid of technology. 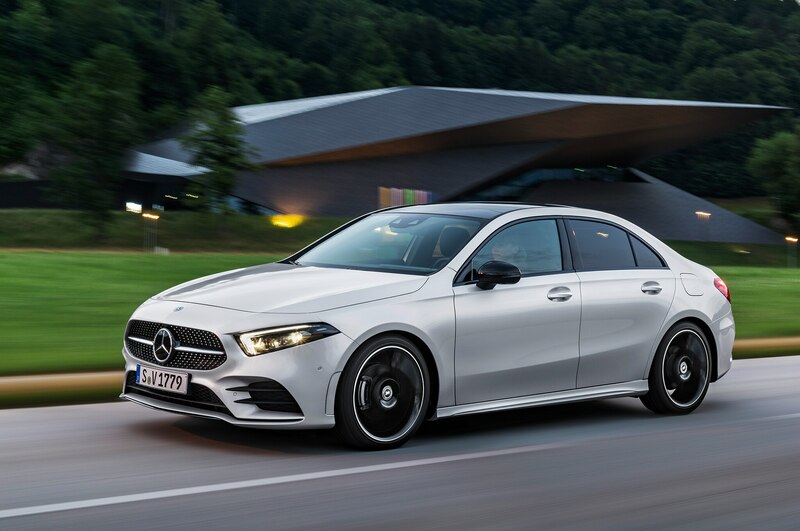 Benz’s luxury compact has more assists for an entry level model than Magic Johnson, and some big baller MBUX to go along with it. 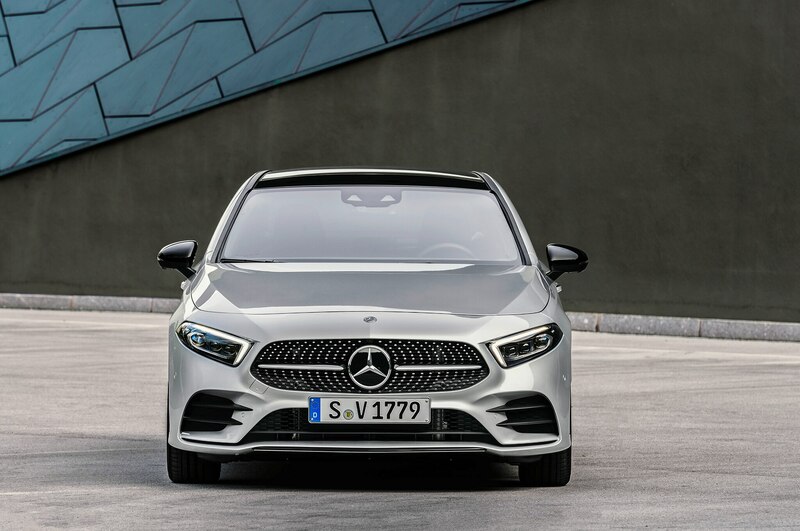 In fact, arguably the highlight of the new A-Class Sedan is the addition of the automaker’s Mercedes-Benz User Interface system (MBUX), which it first unveiled at the 2018 Consumer Electronics Show and is launching as standard equipment in the A-Class. 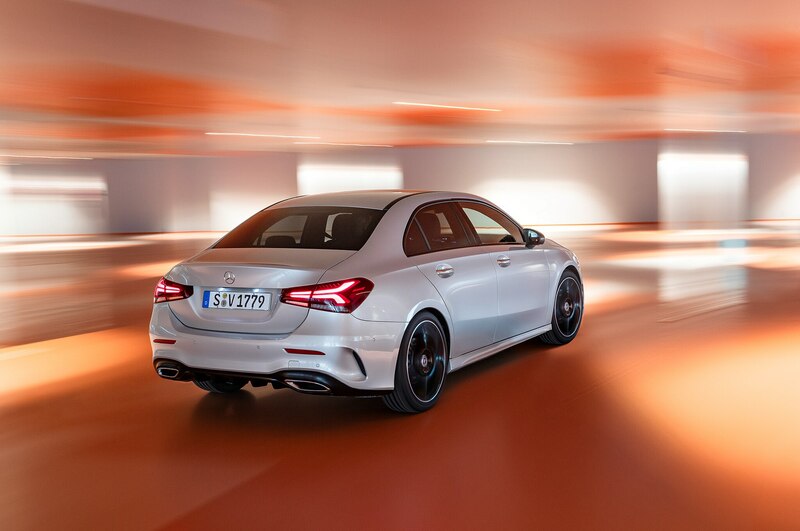 MBUX, which will eventually replace the automaker’s well-worn COMAND system across its lineup, is being heralded as a technological breakthrough in infotainment. 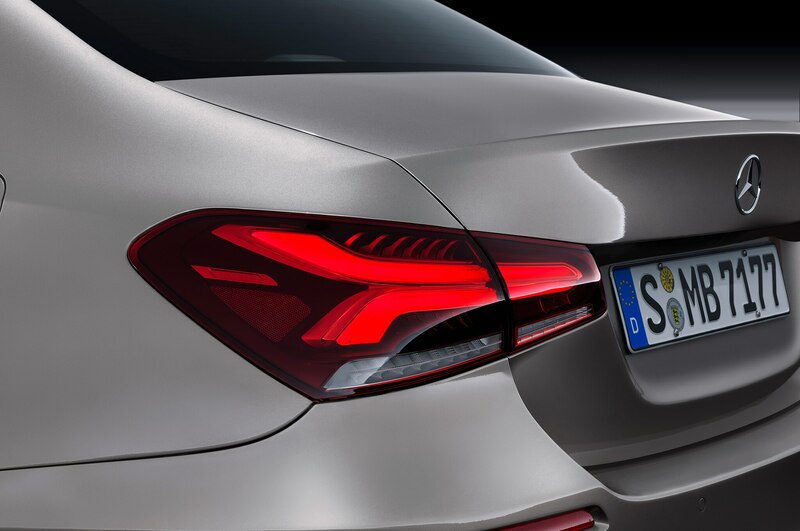 One noticeable departure from COMAND is that it’s a touchscreen enabled setup. 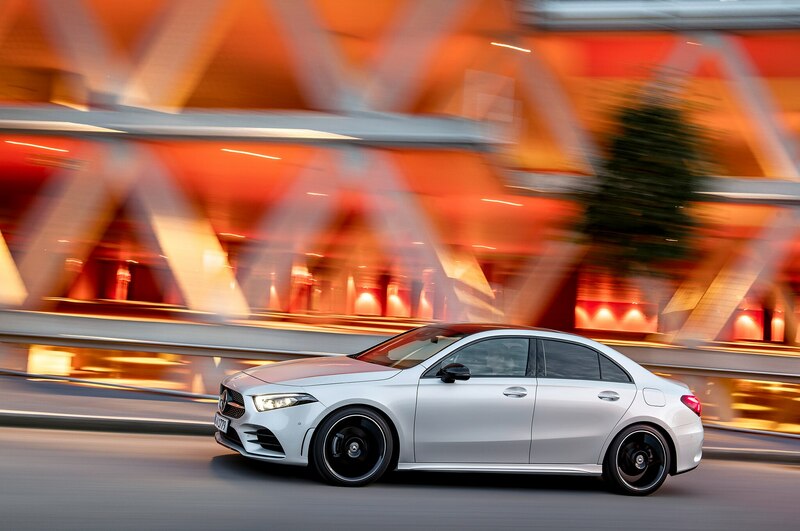 On the hardware side, Mercedes partnered up with Nvidia to utilize the chipmaker’s GPU technology to enhance MBUX’s usability and speed. 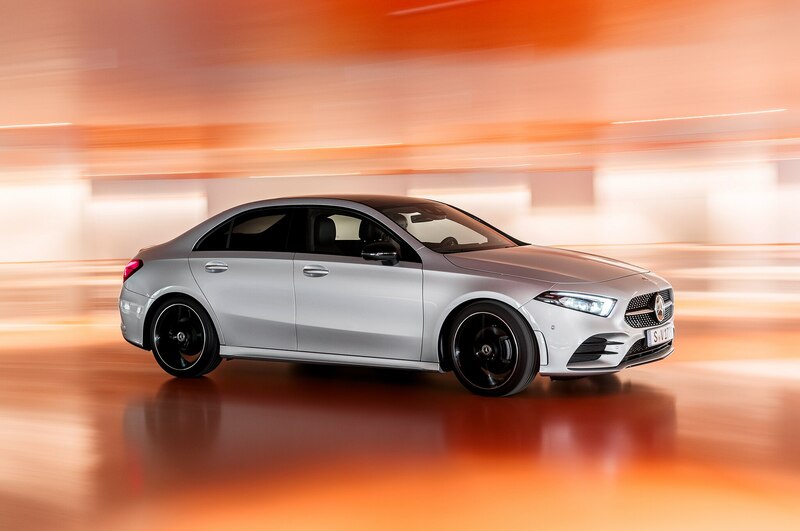 It also deploys artificial intelligence algorithms to understand the functions you use most and make them more accessible, and improved voice command features you can use by first saying “Hey Mercedes” (the Beastie Boys’ “Hey Ladies” version did not make the cut). 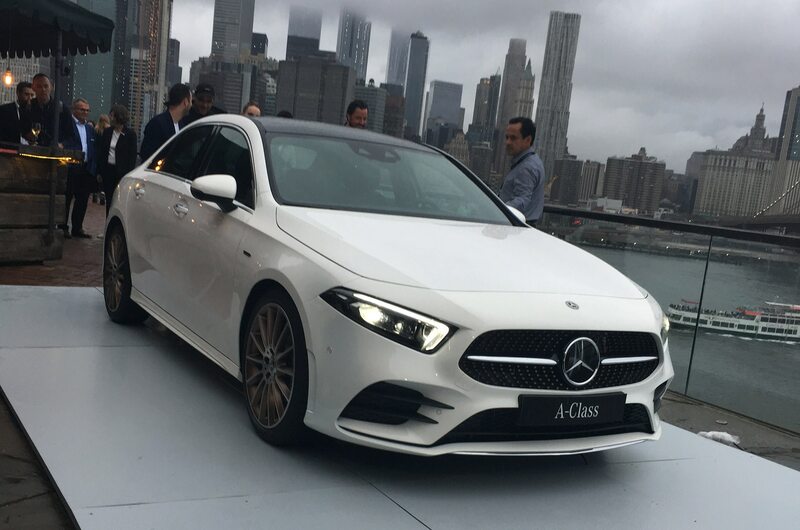 We got a demo of it here in Brooklyn where the A-Class made its world debut, and the voice command tech works well and responds quickly. MBUX can also be updated either by local (i.e. 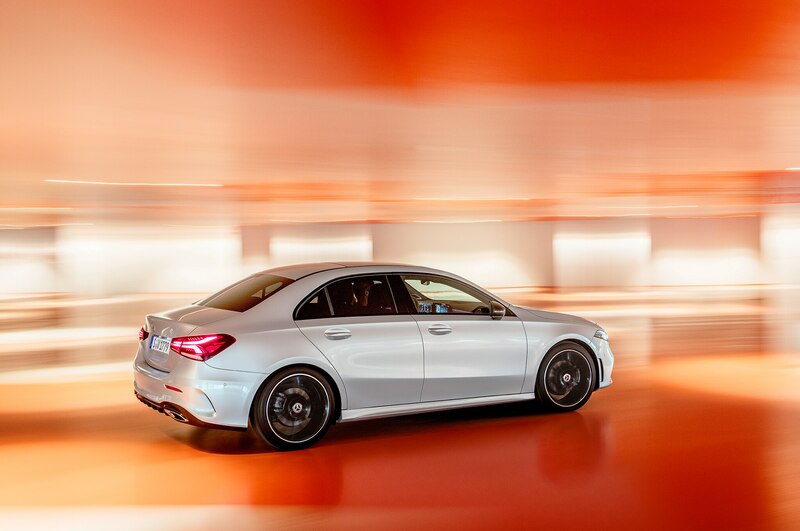 at the dealer) or over-the-air updates in the future, which should enhance its lifespan. 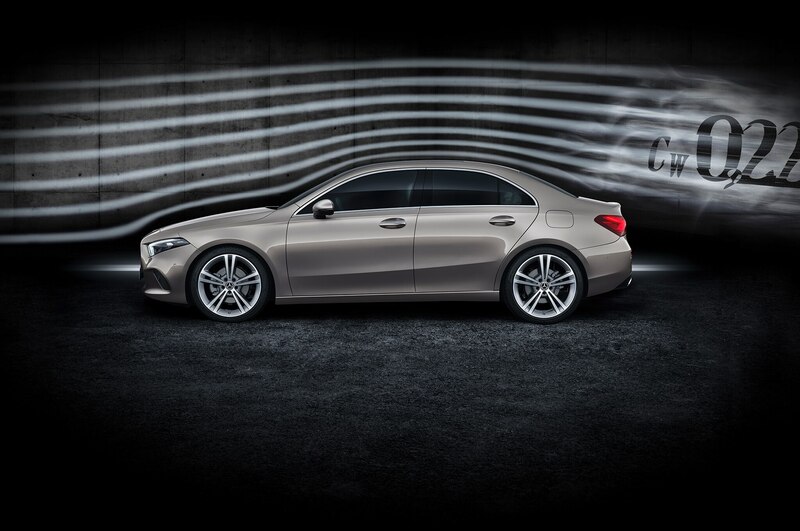 It can even recognize your preferences if you drive another MBUX enabled vehicle. 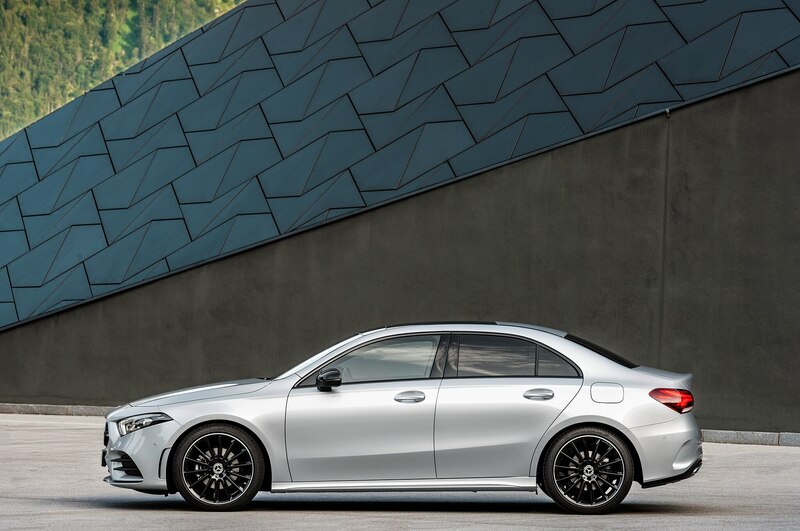 Very cool stuff. 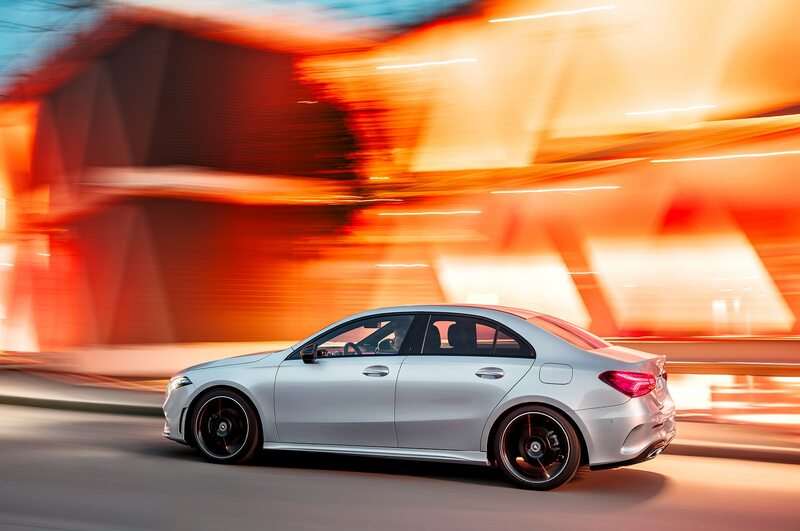 There are two screen configurations where the MBUX magic happens, either two 7-inch wide screens, one in front of the driver as the digital instrument panel and one main info screen, or the available big kahuna 10.25-inch screens that dominate the entirety of the dash and look killer (impress your friends!). 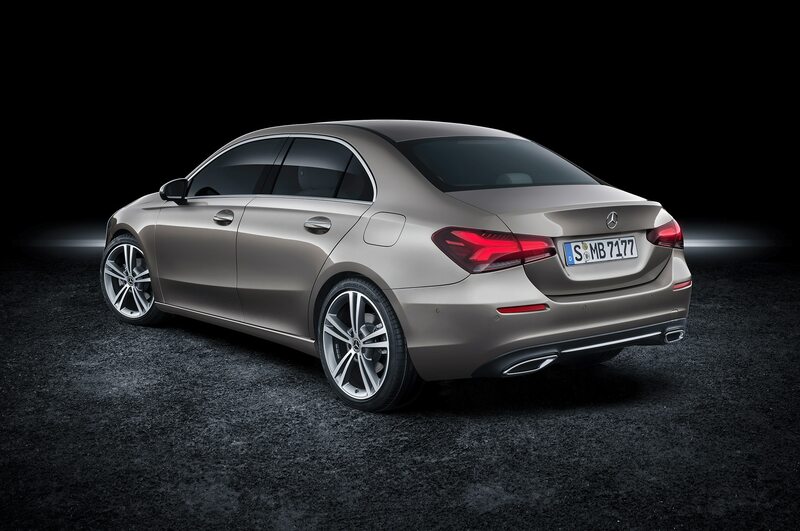 Controls on the steering wheel and in the center console also aid in managing the mass of features. 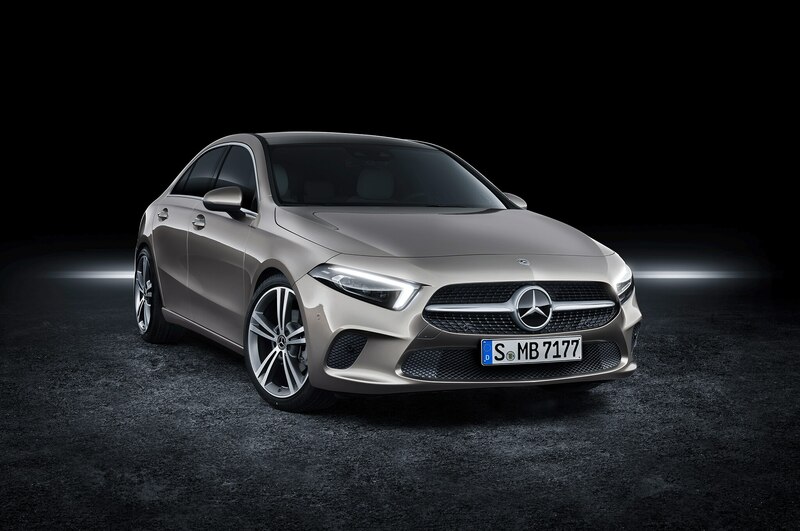 What’s under the hood isn’t nearly as revolutionary given that the 2019 Mercedes A-Class, which will be badged in the U.S. as the A 220 and A 220 4MATIC, essentially uses the same setup as the existing CLA. 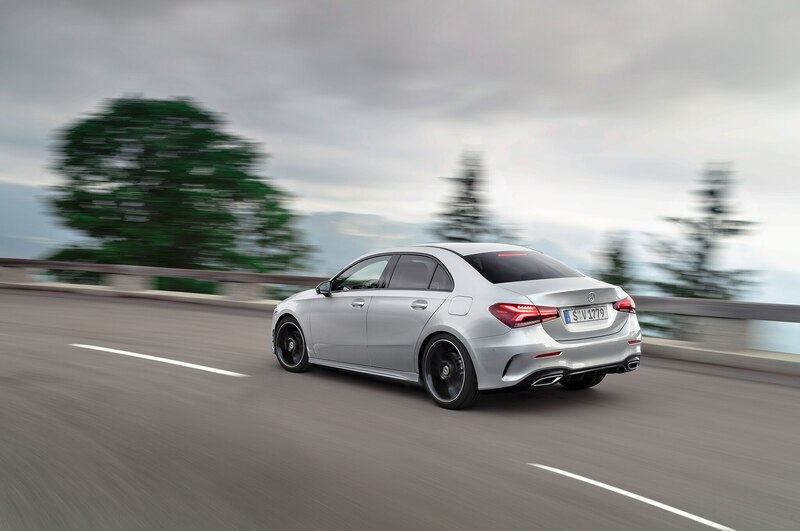 While the 2.0-liter turbo inline four and 7-speed dual-clutch automatic is a similar setup to the CLA, power is actually down. 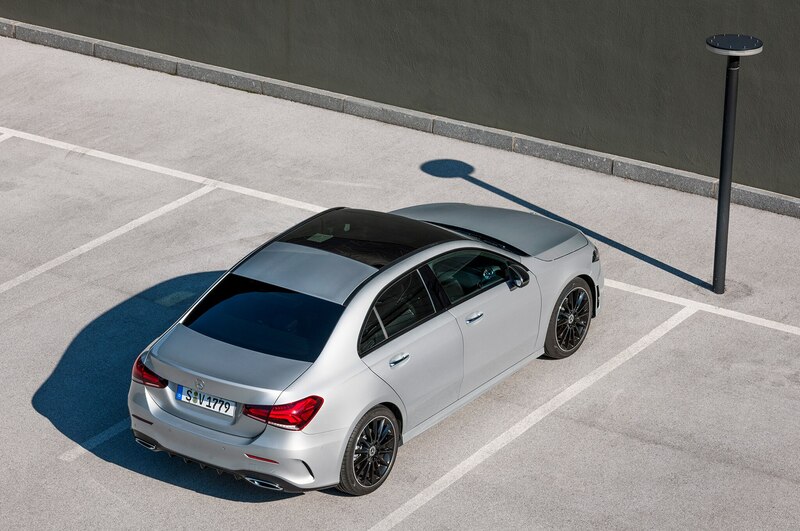 Not something we normally see, but likely making room for the next CLA to continue to have more power. 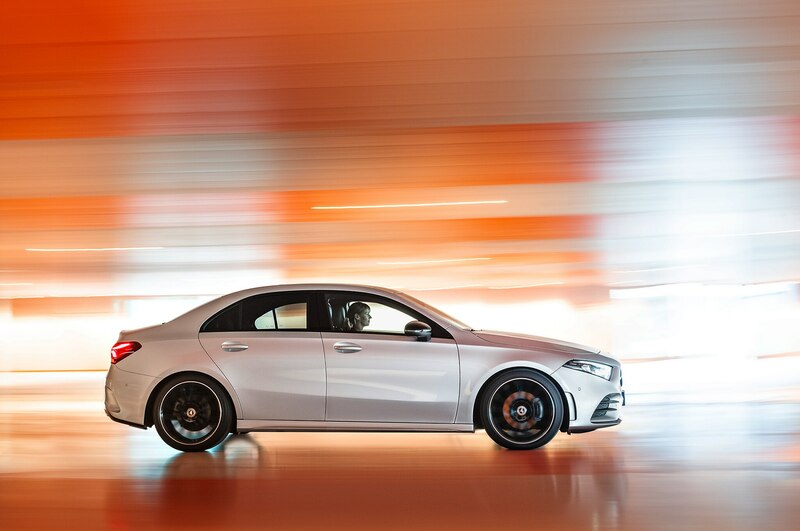 Horsepower is 188 hp vs. 208 in the CLA and torque is listed at 221 lb-ft vs. 258 in the CLA. 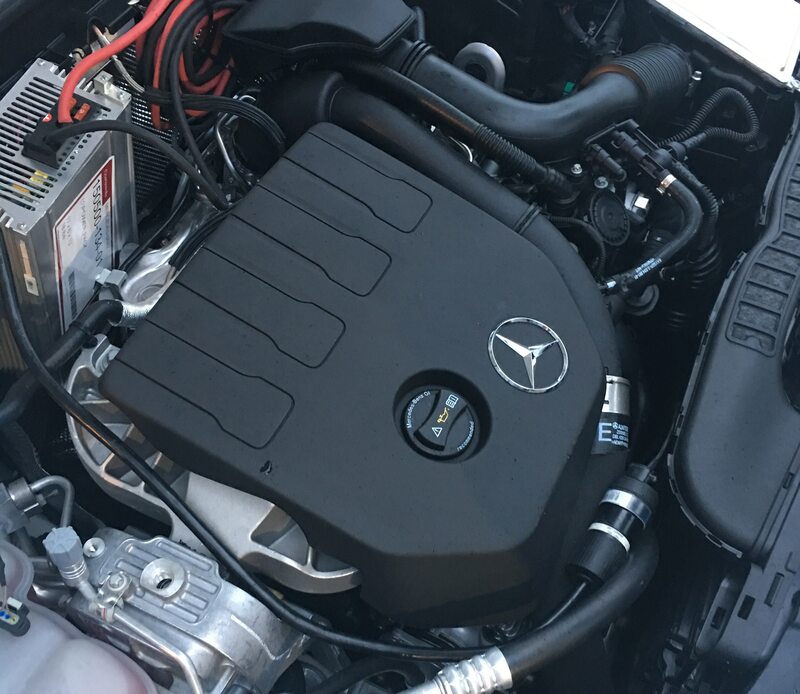 Mercedes hasn’t provided any details yet on what if anything was done to the engine. 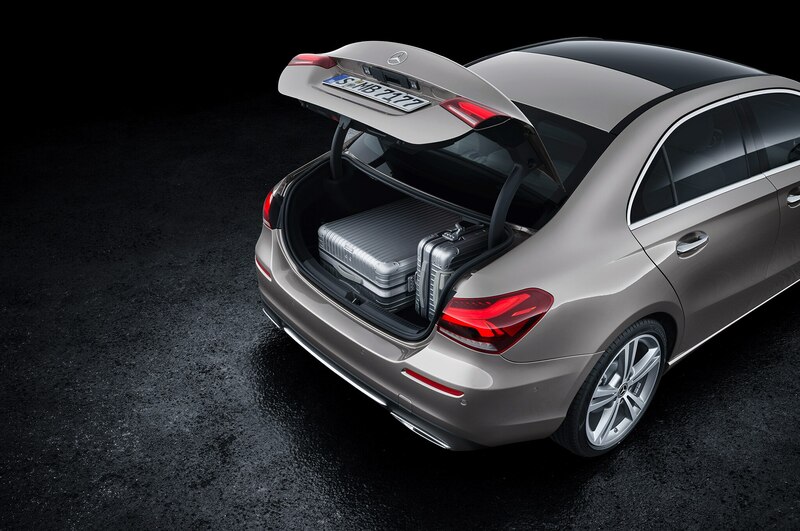 Our best guess at this point is that it’s been massaged to be more efficient. 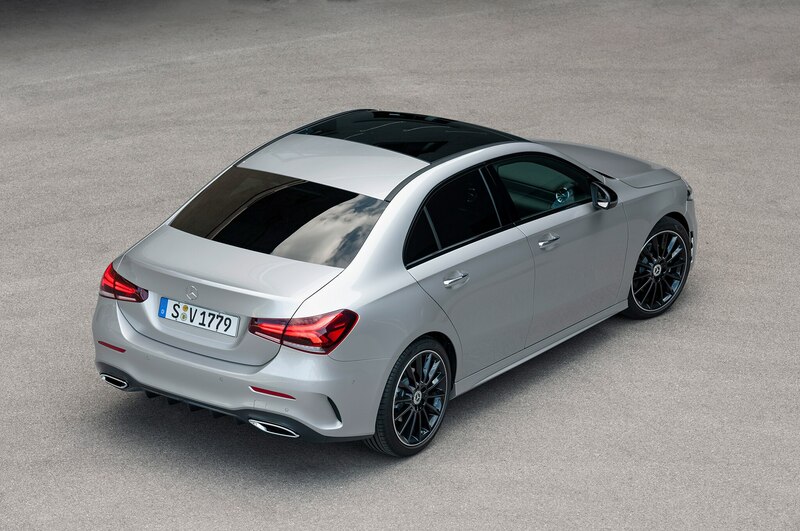 Never fear though horsepower hawks, you can bet your bottom Benz that we’ll see AMG versions of the A-Class soon enough. 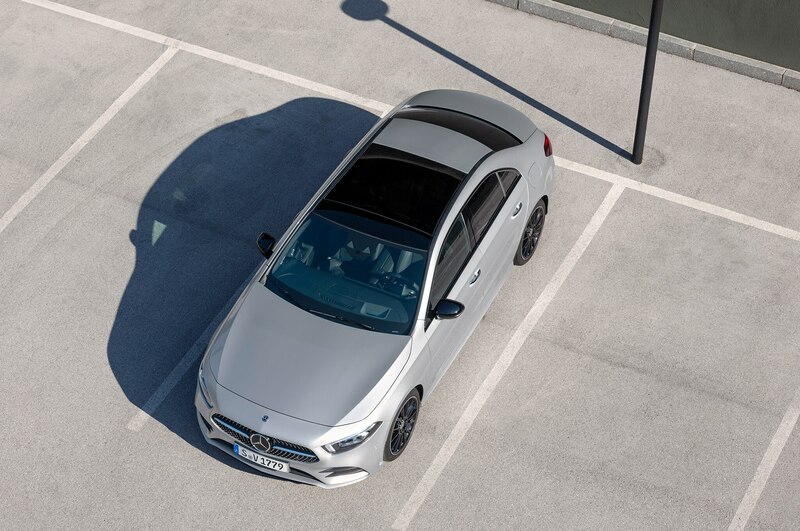 An AMG style package will be available for the base A-Class. 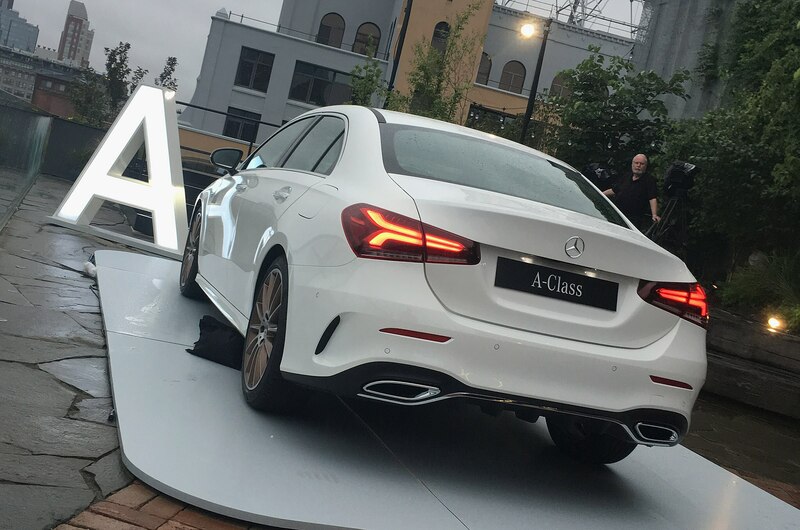 The suspension setup of the A-Class is also similar in scope to the CLA, with a McPherson design in front and multi-link rear, the exception being entry-level, front-drive models on 17-inch wheels that will come with a more basic (and lighter) torsion beam rear. 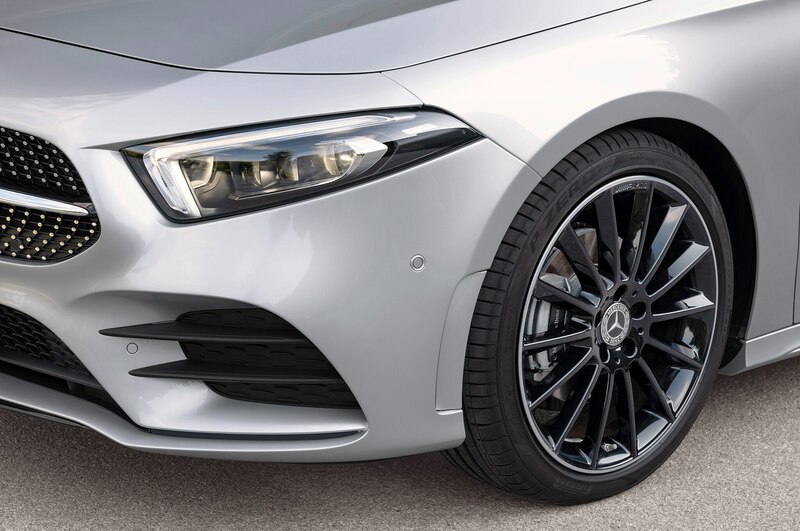 In addition to the 17-inchers, 18- and 19-inch wheel packages will be available. 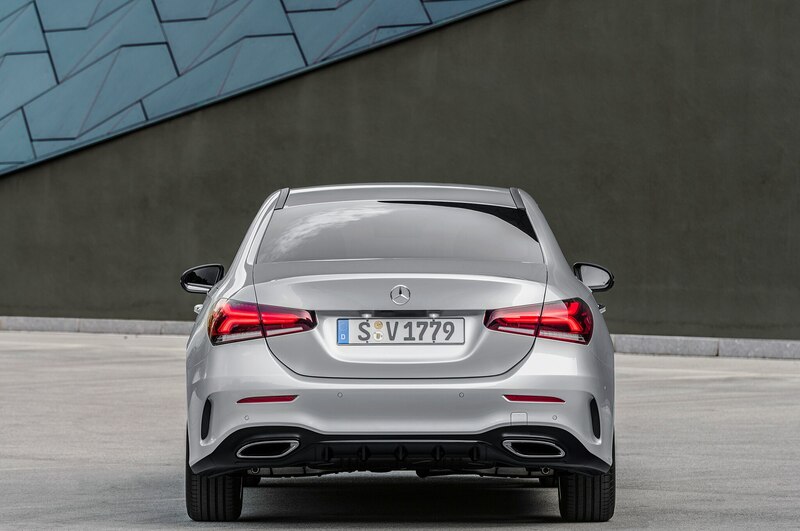 Dimensionally, width (0.7-inch wider) and height (0.3-inch taller) are similar to the CLA. 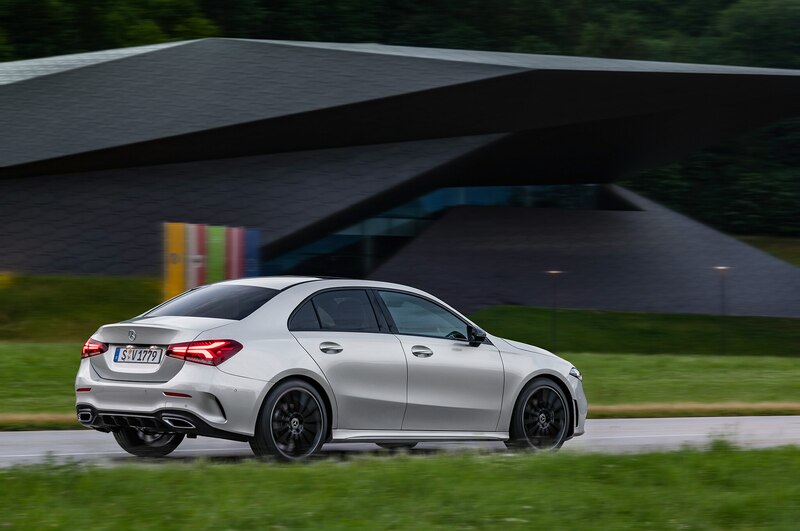 Wheelbases differ slightly more, with the 2019 A-Class besting the CLA by a little more than an inch (107.4 vs. 106.3), which should mean a smidge bigger cabin. 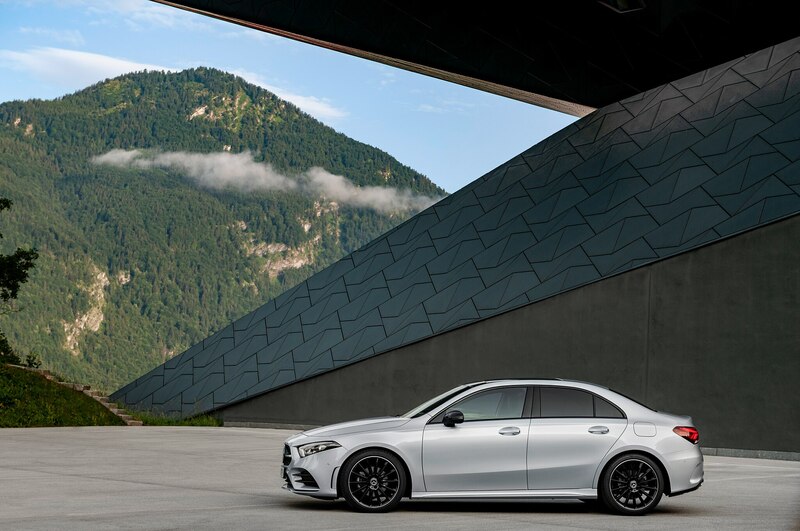 The biggest dimensional difference is in overall length, as the A-Class is notably shorter than the CLA (179.1 vs. 182.3-inches) thanks to its reduced front and rear overhangs. 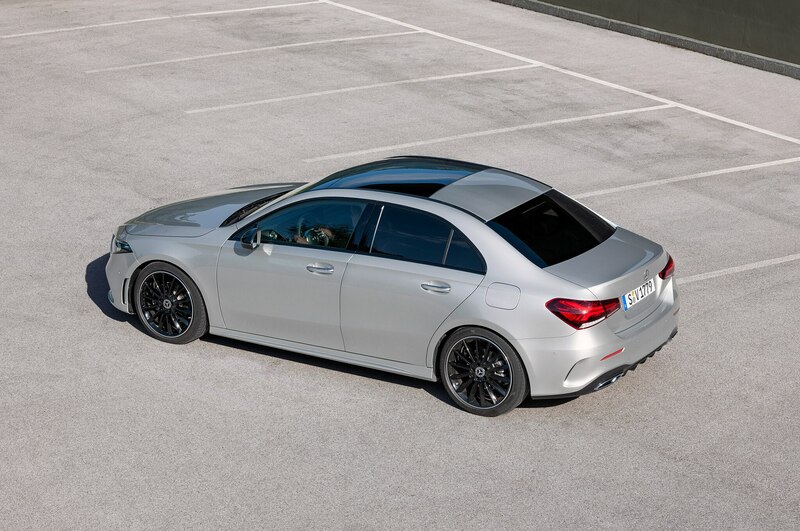 Those shorter overhangs are also where the primary exterior changes have taken place over the CLA. 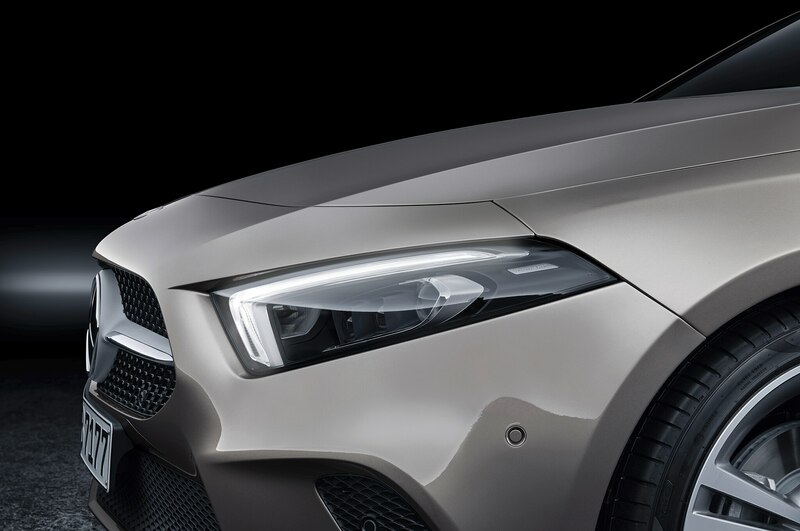 The front end of the A-Class deploys stronger, more angular headlamp assemblies, and a much deeper and wider lower fascia augmented by similarly aggressive scooped side air inlets. 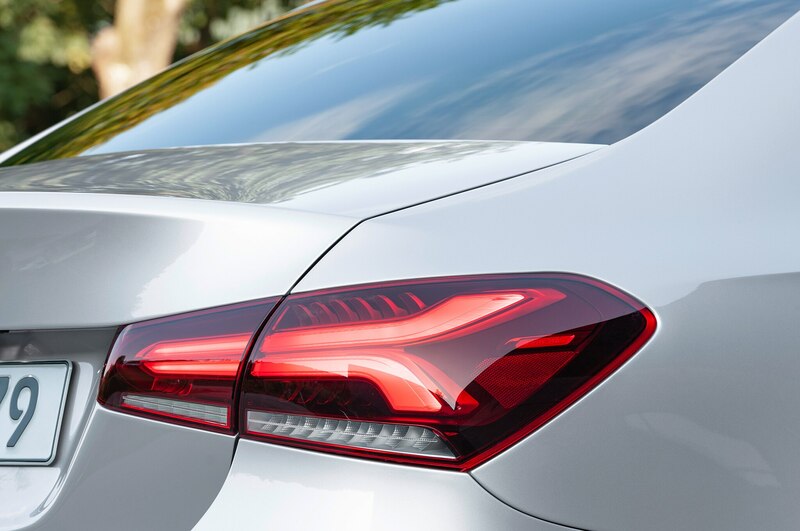 The A-pillar has been adjusted slightly, the rear view mirrors have been moved to the beltline, and the profile lines appear more rounded. 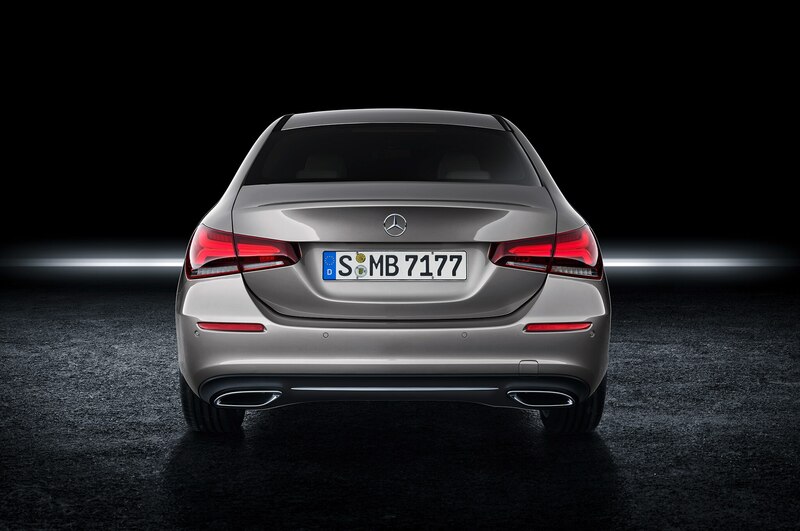 Out back, widening touches include a two-piece taillight design, and horizontal reflectors flanking the rear. 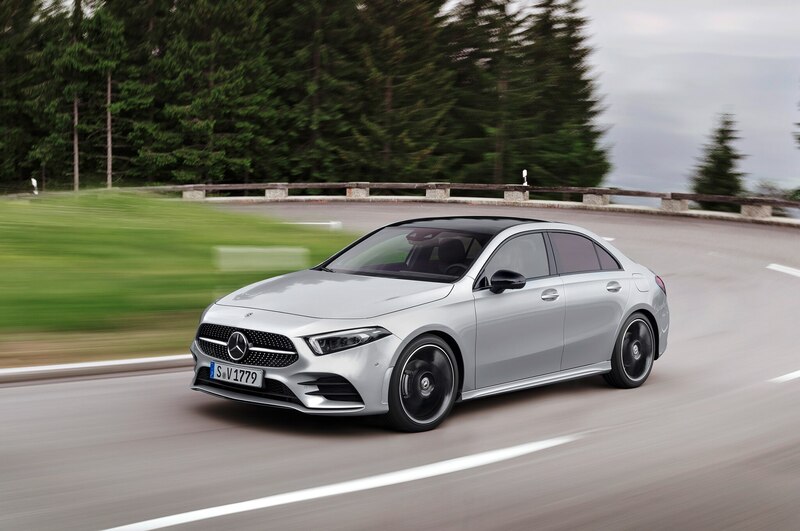 It’s a smart update to our eyes, one that uses elements that helped make the CLA a hit here in the U.S., done in more of a traditional sedan style. 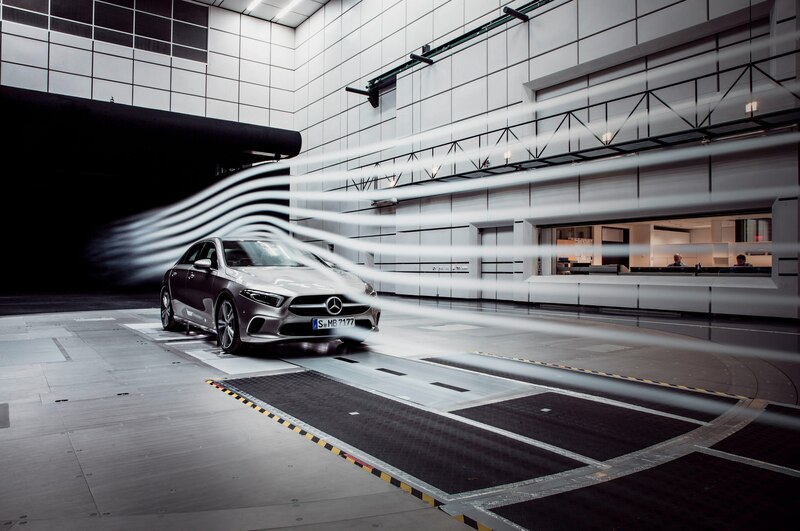 It’s also very slippery in the wind tunnel, with a .22 Cd, the lowest of any production car (tied with, you guessed it, the CLA). 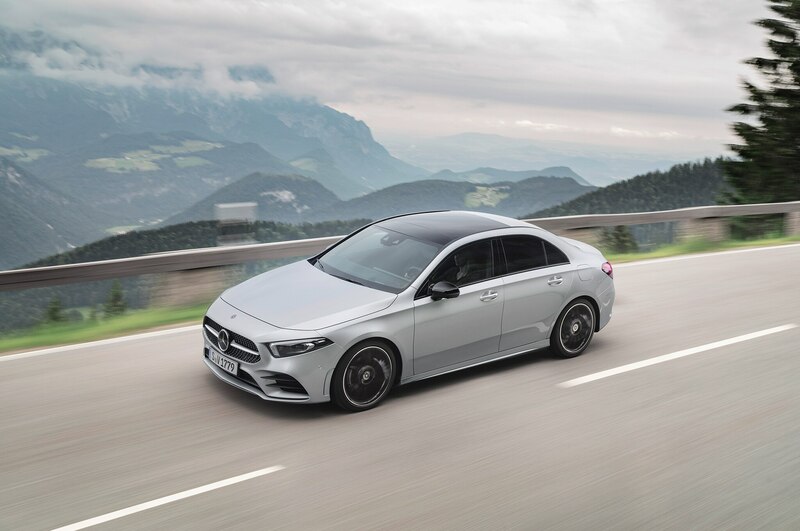 Inside is where the big changes take place between the A-Class and the CLA, starting with those digital screens that dominate the proceedings and allowed the designers to create cleaner dash lines without the need to integrate a cover for a traditional instrument panel. 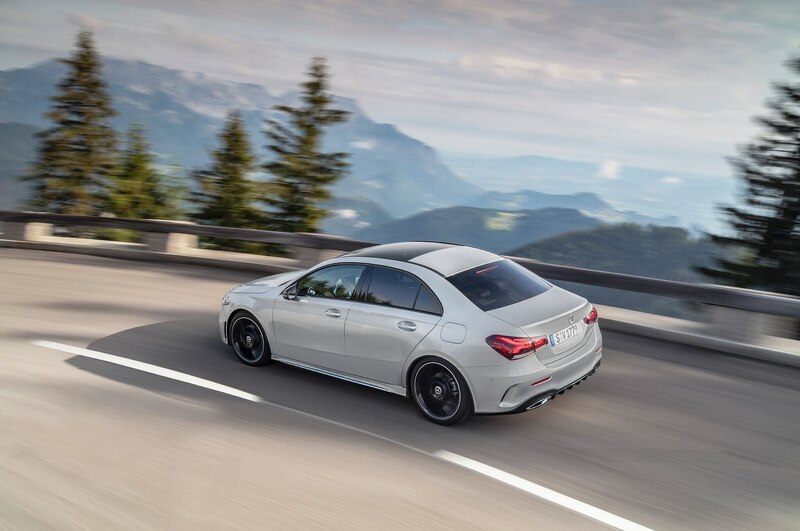 The COMAND button mashup gives way to one clean, wide line of essential climate and other control buttons, and the new steering wheel has dramatically updated controls. 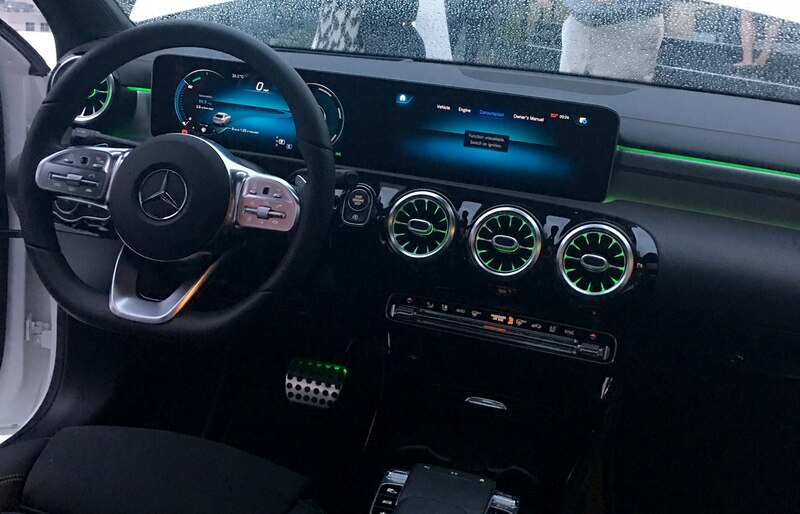 The circular air vents have been redesigned and light up, as do other lines in the car (in a range of 64 colors), and the center console now has a touch pad topped by a hand rest pad to make use easier. 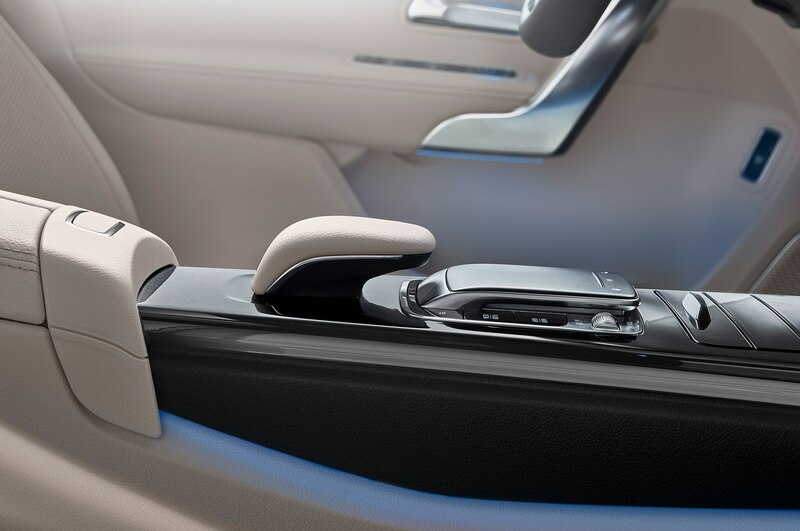 We got in the car in Brooklyn and the overall cabin design is well thought out ergonomically, and materials and fit and finish look first rate. 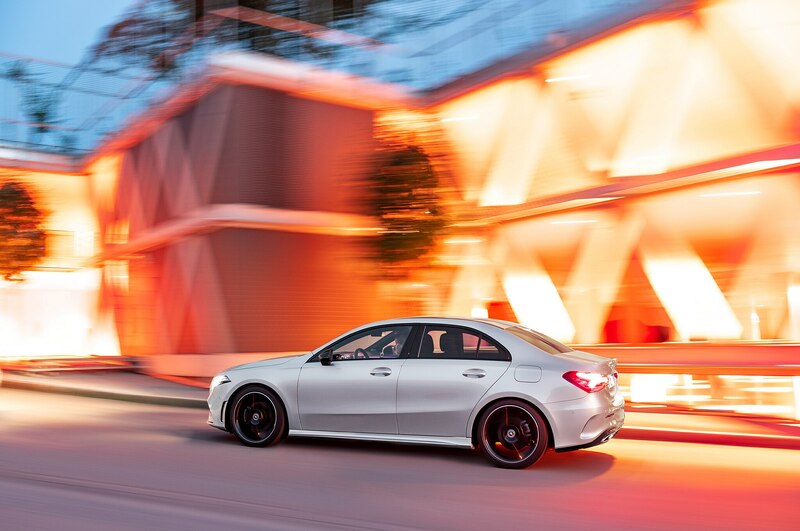 Then there are the assists. 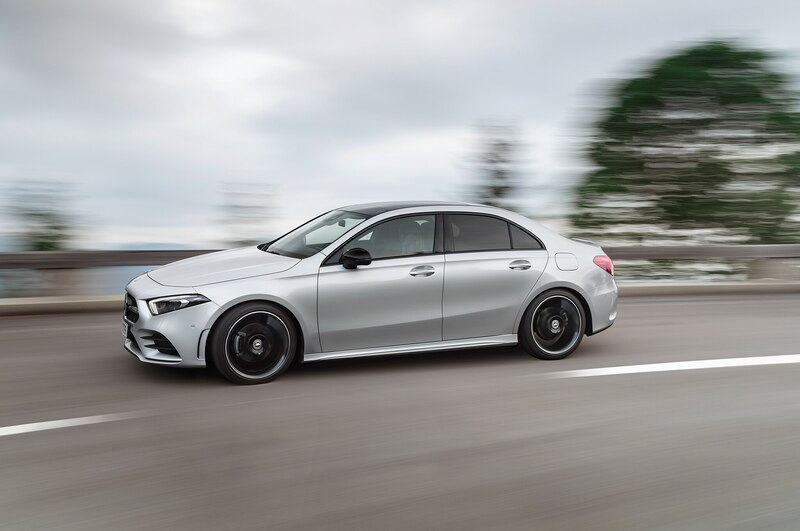 You can nanny yourself half to death in the A-Class and do the semi-autonomous (keep those hands on the wheel and eyes forward, people) driving thing just like those rich folk who drive S-Classes when you opt for the Driver Assistance Package. 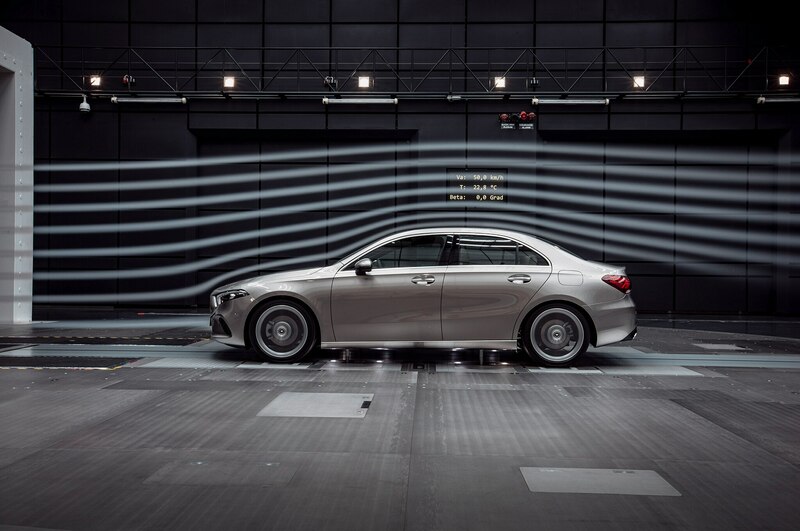 It bundles Benz’s Active Distance Assist adaptive cruise control system that can help plot your route and predictively adjust the car’s speed when the road gets curvy or roundabouty, along with Active Emergency Stop Assist and Active Lane Change Assist. 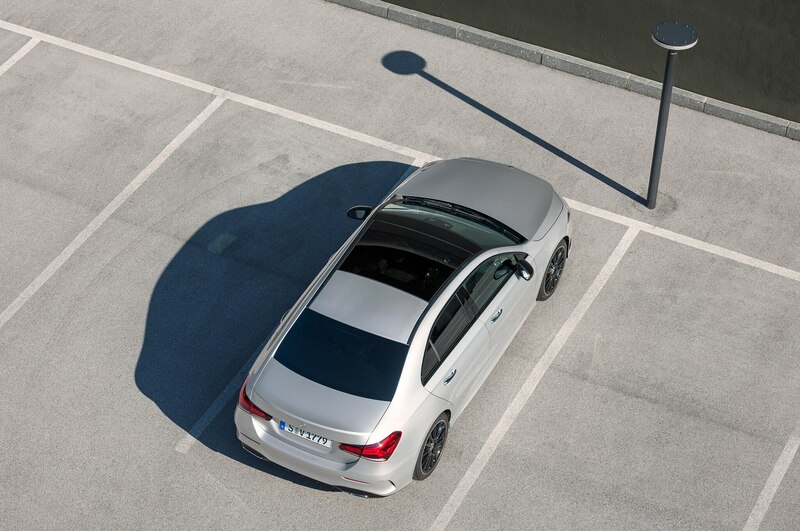 Active Brake Assist is standard, which can intervene to help keep you from rear ending someone or hitting crosswalking pedestrians and bikers, and we’ll give you one guess what Active Lane Keeping Assist can do. 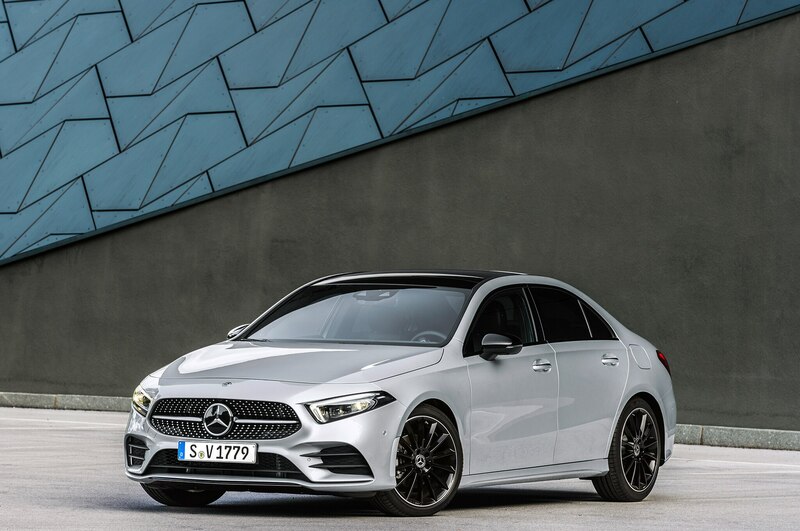 So far, there’s no word yet on pricing, but with the 2019 A-Class, it’s obvious Mercedes is looking to make sure that when people think entry-level and Benz, they don’t think cheap. 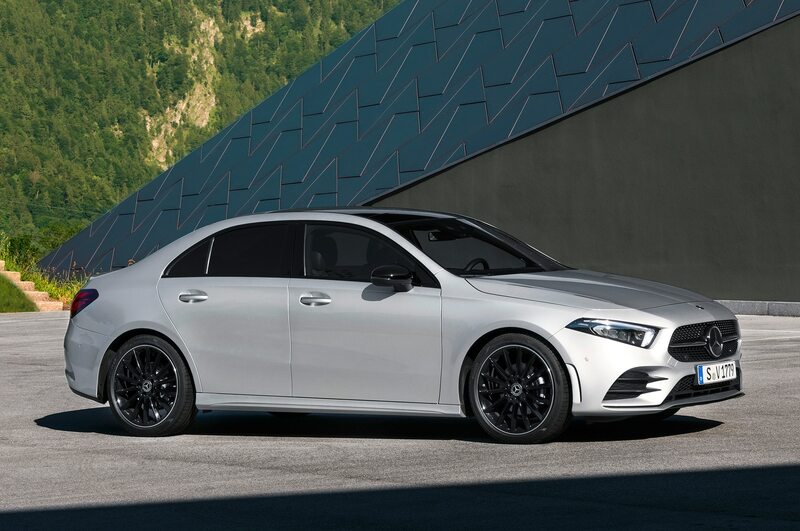 (Oh, and it’s made in Mexico and Germany, so cross your fingers for no tariffs!) 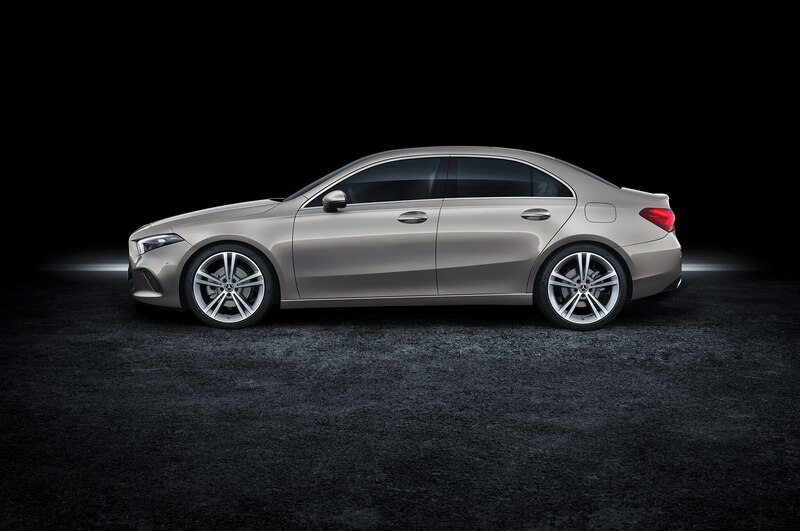 Our best guess is around $33K to start with pricing to go up considerably from there if you want all the good stuff. 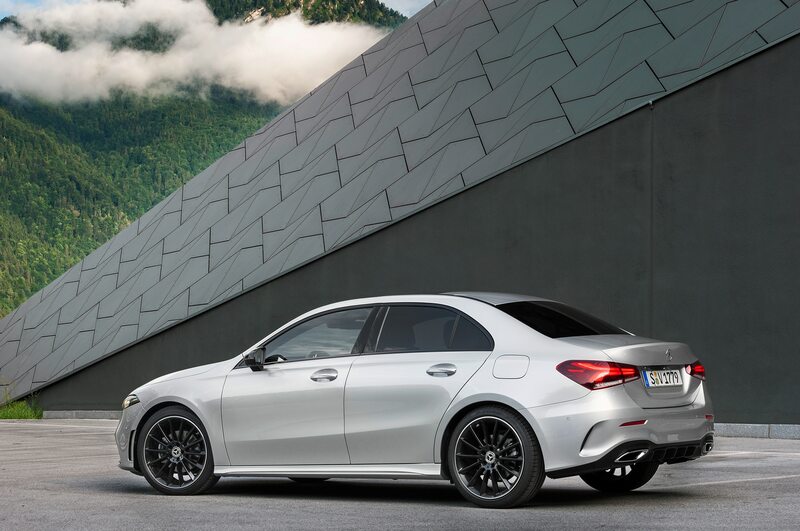 And we’ll bet you some MBUX that if you want one, you will.